Cadillac Urban Luxury Concept - AutoNetTV Media, Inc.
A number of luxury car makers are experimenting with design concepts for small, urban vehicles. 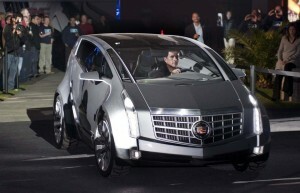 The Cadillac Urban Luxury Concept is that latest, making its debut at the Los Angeles Auto Show. Why to people hesitate to get their vehicles serviced? Why do you?